foodanddrinkfest | the Festival with Taste! Food and Drink Fest 2014 – Save the Date! 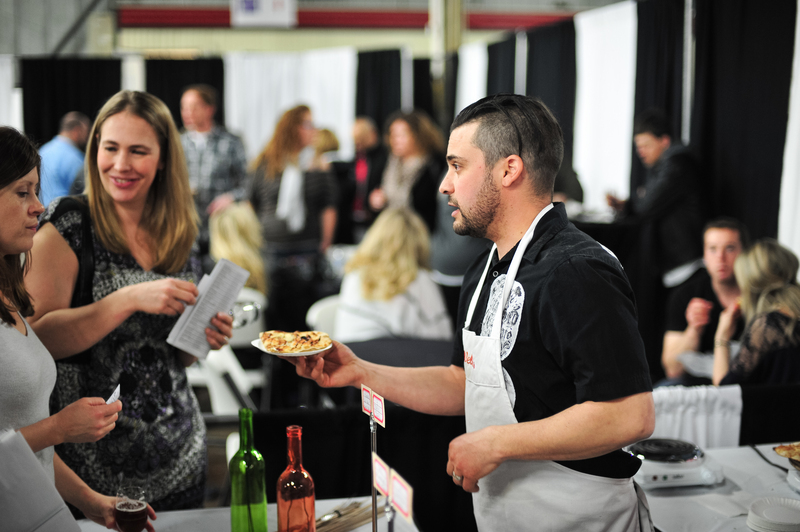 Food and Drink Fest 2014 dates are now public. Hope to see you back at the Careport Centre in Hamilton on March 21-23, 2014. We’re working hard here to bring you another fun packed weekend of food, drink, entertainment and company! So be sure to book that weekend off and start thinking about getting the gang together for another celebration of all things food and drink! Food and Drink Fest… The Festival with Taste is this week. With months of preparation behind us and plans set, we now get to announce the best and most anticipated part of the show.. what everyone will be serving up for attendees to taste, try, sip and savor! Avella’s will be churning out their trademark Pizzas from the on-site wood fired oven, fresh, hot and delicious! Appleberry Cafe is a welcome addition this year! They will have both Jerk and BBQ chicken as well as their signature (and most popular) in house dish, Sole Fish Fillet with Veggies and Island Rice Pilaf. Blue Nile Ethiopian Restaurant is bringing everything to satisfy your adventurous food craving for something new. Dorowot (a national dish of Chicken and boiled egg stewed in red pepper sauce), Yebed Wot (freshly made lamb stew) and Zilziltibs (tender beef sauteed in purified butter). Burrito Boyz will have what they’re famouse for… Burritos and Quesadillas! Cheese Shoppe on Locke will have panini pressed gourmet Grilled Cheese Sandwiches and their incredible, toe-curling Mac and Cheese! My Thai offers an authentic take on the classic favorite Pad Thai, as well as Fresh Rolls, Mango Salad and Crispy Spring Rolls. NaRoma Pizza Bar will have their usual incredible variety of artisan pizzas including a new addition this year… Nutella Pizza! There really are no words to pay adequate homage to how amazing that concept is. Paradise Catering is back with their gorgeous chocolate fountain as well as a new option for those looking for a savory choice of a (brace yourself) a Bison Slider with Wild Mushrooms in a Valpolicella wine reduction served on a Vidalia Onion Bun with smoked Tomato Puree and French Grain Mustard. Sigh. Rapscallion Rogue Eatery knows good food. And they are bringing it with them to Food and Drink Fest in the form of Pig’s Head Pork pan seared and garnished with salad and Spicy Coriander Chicken Ragout. In all, Food and Drink Fest boasts the very best of local breweries, local wineries, international spirits and cocktails, as well as an additional 25+ food purveyors beyond what is highlighted here… All of which will be present this weekend in the great city of Hamilton to bring the true sense of what a foodie really loves to life… Good Food, Made Well. Be at the Careport Centre this weekend, meet the brew masters, wine makers, highly acclaimed chefs and local heroes working hard everyday to make this region renowned for all it’s flourishing talents, it’s plentiful bounty and it’s uniquely varied and beautiful culture. Come join us and raise a fork (and a glass or two) to all we have to rightly celebrate. Forrat’s Chocolates uses fresh ingredients, passion and attention to detail to create an experience that extends beyond taste. Watch their truffles and other fine, customized European chocolates hand-made on site! Forrat’s Chocolates specializes in quality European handcrafted truffles and fine chocolates, using natural ingredients like milk, butter, cocoa beans – but with no preservatives and no artificial flavors! Forrat’s chocolates take you back to the basics – fresh ingredients, handcrafted quality, a passion for making chocolate and brings you back to chocolate in the good ole days! Try Forrat`s Gourmet truffles-it`s their specialty! Food & Drink Fest…Hamilton’s Festival with Taste!